YES! 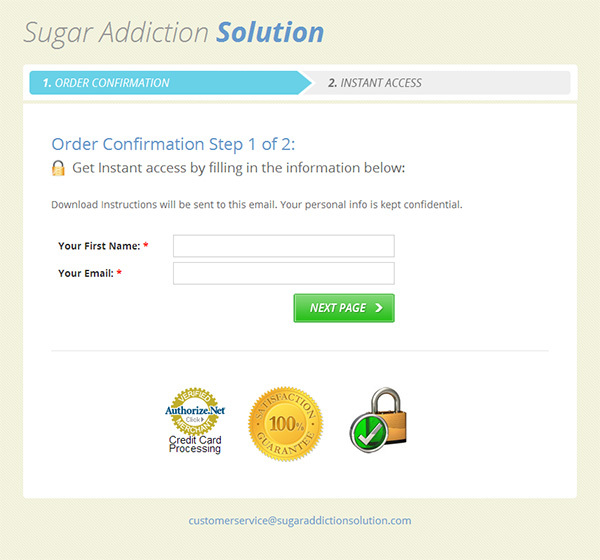 Samantha I want to order the Sugar Addiction Solution to get rid of my sugar cravings in 14 days or less and I know that there’s no time to lose. I understand that I’m getting a great deal by ordering by midnight since I am receiving $205.95 of BONUSES. 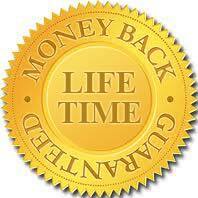 I also know that if I don’t love this 14 day program, then I’m backed by your 100% LIFETIME money back guarantee! If I’m not satisfied for ANY reason, all I need to do is contact you and you will refund 100% of my purchase. Note: On your card will only be $37.00 once. 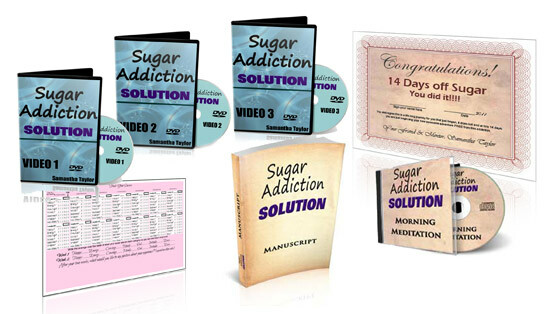 Remember, if you don’t love this program or you’re not happy with the product for ANY reason whatsoever – simply contact me and I’ll give you a 100% refund with no questions asked. I believe in honesty and getting you results. If you don’t get the results you want, or if you’re not happy for ANY reason whatsoever I will give you 100% of your money back with no hassles or hard feelings. Simply click the big “Add To Cart” button below to get started and claim your copy!